In this life, we’re all looking for peace of mind and happiness. A sense of well-being and personal fulfillment. A feeling of success … and feeling good inside all the time. What’s the big deal about mindfulness and meditation? … a moment-by-moment awareness of your thoughts, emotions, bodily sensations, and surrounding environment. It is bringing one’s complete attention to the present experience on a moment-to-moment basis, without judgment. Letting each situation be just as it is, not what you think it should be. 2. What results or outcomes can we expect if we adopt a practice of mindfulness and mindfulness meditation? In order to be effective and productive in life, it is important to prioritize exactly where you’ll be placing your precious attention. And to pay more attention to what and to whom you give your attention. Whatever you put your attention on becomes more dominant in your life. And whatever you take your attention away from diminishes and disappears. The quality of your daily focus directly relates to your ability to be productive and profitable. And more important — your peace and clarity of mind. Every second of every day your senses gather about 400 billion inputs. 400 billion inputs are flooding into your brain every second! According to the National Science Foundation, our brains produce as many as 50,000 thoughts per day. Your mind is in a constant state of more. It constantly craves more knowledge and more experiences. … like ego, conditionings, trainings, memories, limiting beliefs, addictions, emotions, likes, dislikes, and more. The famous Hungarian positive psychologist Dr. Mihaly Csikszentmihalyi, who wrote the book, “Flow” tells us that the natural state of the mind is in a state of chaos and “psychic entropy.” Entropy means disorder. In our modern technological world, we’re all suffering from a new condition called, ADT or Attention Deficit Trait. Attention Deficit Trait is a condition induced by modern life, in which you’ve become so busy attending to so many inputs and outputs that you become increasingly distracted, irritable, impulsive, restless and, over the long term, underachieving. We’re losing our ability to pay attention. A recent Harvard Business Review study found that people spend 46.9 percent of their waking hours thinking about something other than what they’re doing. All these distractions and mind wanderings are empty calories and gives you the feeling that you’re getting something done but in reality you’re simply consuming and investing your precious time in shallow disposable moments. All this mind-wandering typically makes you unhappy and contributes to stress and confusion. The fact is your attention is finite. Each distraction you experience is a moment of your life that you’ll never get back. According to statistics from the International Listening Association we spend 45% of our time listening but we’re either distracted, preoccupied or forgetful about 75% of that time. The average attention space for adults is about 22 seconds. A goldfish has a better attention span. Immediately after listening to someone talk, we usually recall only about half of what we heard. Within a few hours we recall only about 20% of what we heard. Mindfulness is a specific way of paying attention. Mindfulness Meditation means practicing that particular way of paying attention. It is bringing one’s complete attention to the present experience on a moment-to-moment basis, paying attention on purpose, non-judgmentally. Letting each situation be just as it is, not what you think it should be. When you practice mindfulness, you get better at paying attention to the moment you are experiencing now, without labels, judgments, and internal commentary. With this one skill, you’ll enjoy less stress, less suffering, and fewer struggles. In short – you get happier. Practicing mindfulness meditation on a regular basis imbues your body with calm control. The effects of mindfulness meditation are cumulative and build over time. Each time you practice, a new wave of calmness and stillness permeate your cells. In essence, you embody mindfulness. Mindfulness meditation awakens the unobserved mind. You begin to notice the thoughts that shape your reality. You begin to notice a fundamental shift in your worldview and way of being that affect every aspect of your daily life. When you spend time in mindfulness meditation, you begin to see that the highest function of the human is beyond thinking. The highest function of a human may be moving toward intuitive or flow states where you experience heightened creativity, increased performance levels, and accelerated decision-making. You get Clarity of Mind. Mindfulness meditation serves to retrain and defragment the mind like pressing the reboot button on your computer bringing your mind back to a default or neutral state. Also, when you practice mindfulness meditation, it gradually clears and peels away layers of negative mental and emotional imprints. When you become fully present and aware in your mind, the body naturally follows. Ken LaDeroute is a mindfulness trainer, coach, and meditation teacher. 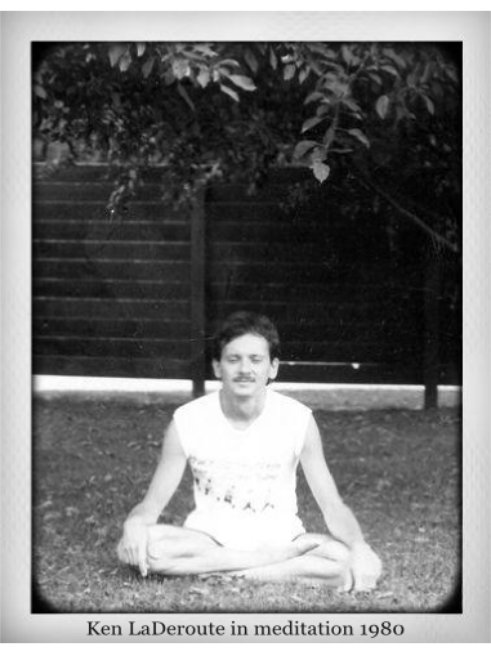 In 1989, he was initiated by a direct disciple of Paramahansa Yogananda, into Kriya Yoga. Much insight has been gained through a deep and intense practice as an ardent meditator and teacher for over 35 years. Ken offers the comfort and support you need to stay focussed, clear, calm, and centered everyday. Allow this Guided Meditation for Clarity of Mind to clear your awareness, reduce anxiety, manage stress, develop inner strength and resiliency, deepen self-awareness, poise and presence. Clarity Mind Meditation audios are crystal clear and encoded in the mp3 format and sound gorgeous on all your devices. 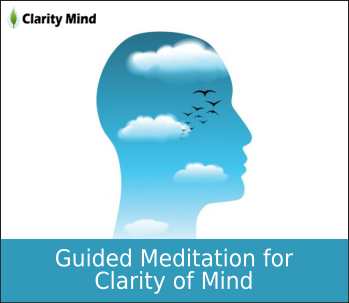 Clarity Mind Meditation audios are designed to get your body relaxed, reduce mental chatter, stress, and anxiety. If for any unlikely reason your Clarity Mind Meditation audios don’t live up to any of these promises, just drop us an email. 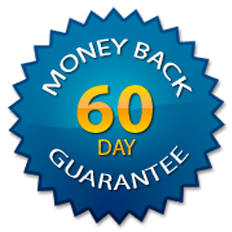 You will receive a prompt and courteous refund within 60 days of your date of purchase.